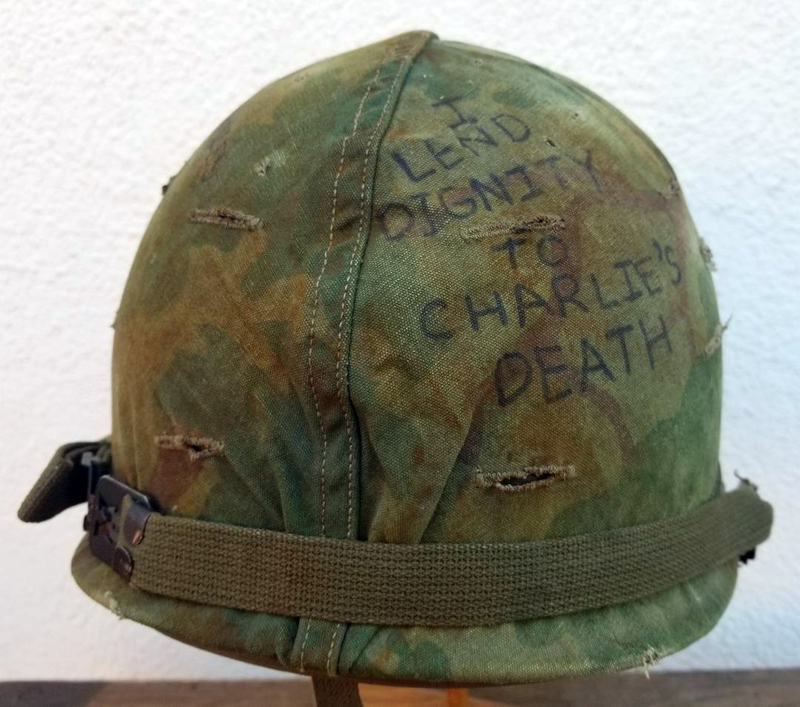 This restoration was inspired by helmets worn by GIs during the Vietnam War. 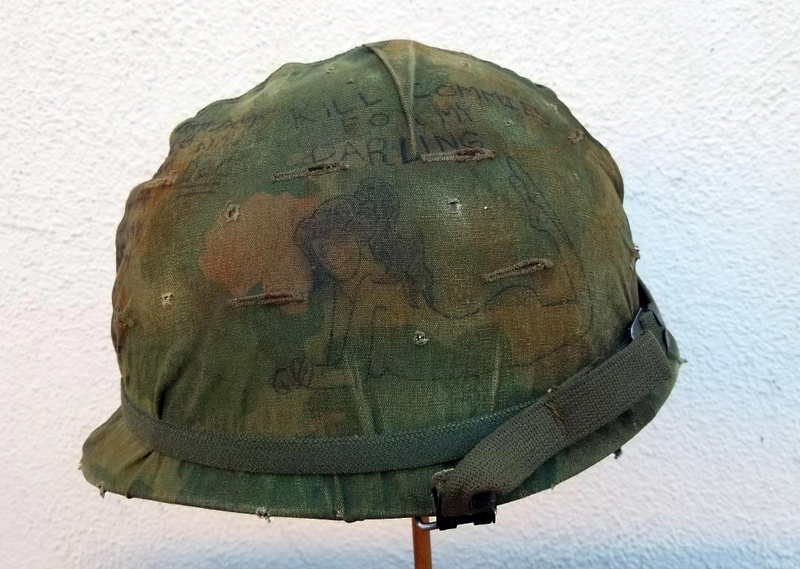 The helmet shell is painted with the gravel textured light green paint used during the Vietnam era. The liner is 1960s production. 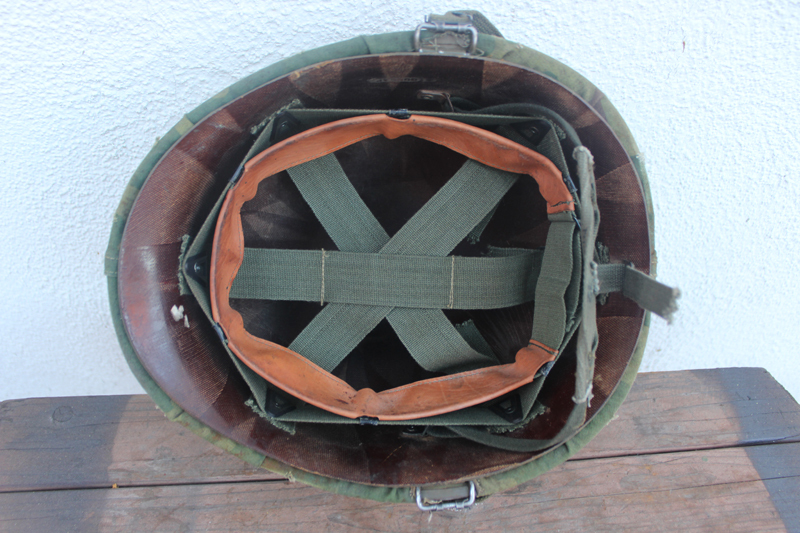 The liner has been fit with an original 1968 dated sweat-band, chinstrap, and neck band. 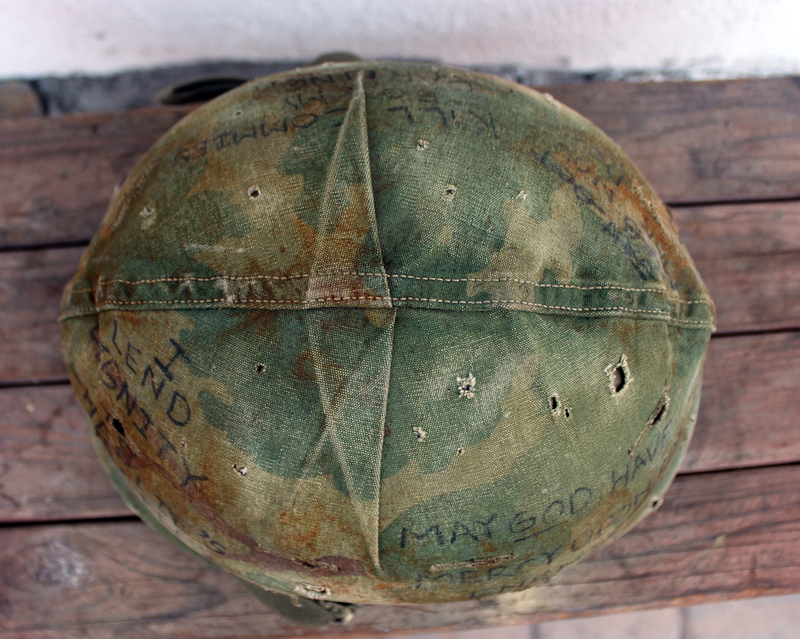 The Michelin helmet cover is a new reproduction, but has been aged. 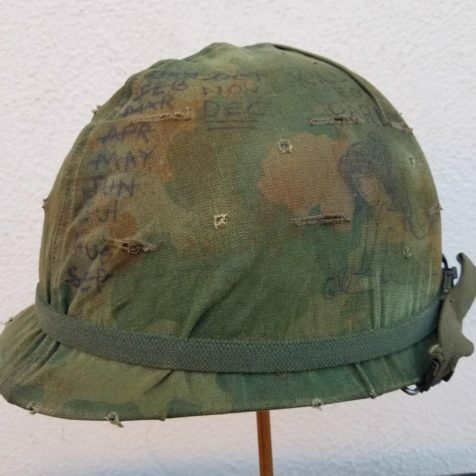 The cover is held into place with an original neoprene foliage band. 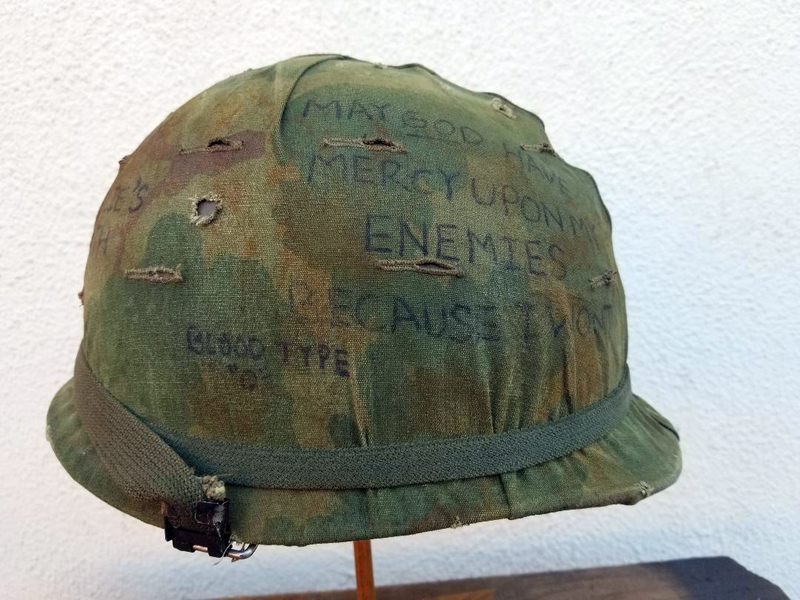 The cover had been graffitied with a count down service calendar, a pin-up, the wearer’s blood type, and a number of sarcastic phrases. If you’d like one A&SR will make it happen.